The device will be available for purchase at a price tag of $149.99(approximately Rs. 7,800). Meep tablet will also contain exciting pre-loaded content including Angry Birds, Toon Goggles and a range of art and learning apps. Parents will be able to source books, videos, apps and more games from the MEEP! Store. 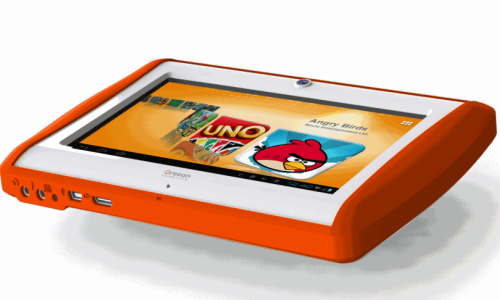 Company representatives have mentioned that the Meep tablet has been designed by keeping kids in mind. The horizontal design will make the device easy for children to use. The interface is also less cluttered making it easy for kids to navigate through different features offered by the tablet. It is also sleek and portable which makes it extremely convenient for children to carry around. Parents can also be assured about the quality of the content offered through the MEEP! Store. Meep tablet will also help them to keep their children engaged during their free time. There are also cloud based settings in the tablet which parents can control without taking the tablet out of the kids’ hands.